Adapted this meatball recipe with a different sauce/pasta. Meatballs had great flavour and notably no cheese in the panade. Recipe measurements a new level of annoying - who buys or preps meat in Cup measurements? - So hard to think I was able to nail the intended ratio. Browned off on sheet pans at 400 and folded into sauce. Like the idea of torn bread vs. dry crumb here, though I ended up adding an egg to get the texture I wanted. This is a solid (but classic) spaetzle recipe. The rosemary adds a nice herbal note to the spaetzle without dominating it. The scallops are the star here with the spinach providing a welcome compliment. The preserved lemon isn't really obvious until you bite into one of the slivers and get a burst of lemon flavor. ...Waxman offers a full menu of dishes that are appealing in their brevity. These recipes come together with the casual ease you’d expect to find in a neighborhood trattoria. 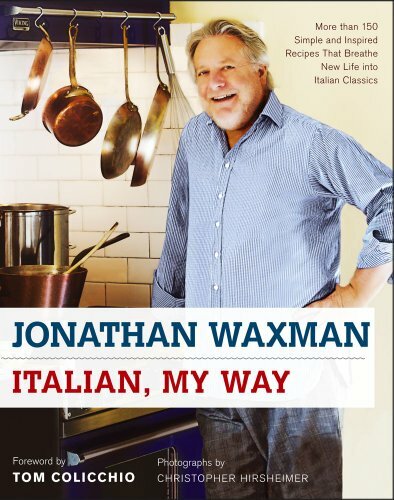 Here is another successful chef who worked in Alice Waters’ kitchen, Jonathan Waxman, with a book I could cook from every day. ...the depth of our appreciation for this molten, bittersweet chocolate filling and its intensely chocolate, nutty crust that’s a brownie-like communion of ground pine nuts and almonds. This pasta dish is the world’s richest and most decadent. A wonderfully gifted actress frequents Barbuto and always orders a double carbonara.